Stewards spoke to Mr N Mandylaris, the trainer of Mr. No Worries, regarding the length of time the greyhound has had between races. Mr. No Worries last raced on 6 December 2017. Mr Mandylaris stated that the greyhound was returning to racing following right hock and right fibula injuries. Stewards spoke to Mr N McCullagh, the trainer of Ella Rhode, regarding the length of time the greyhound has had between races. Ella Rhode last raced on 8 February 2018. 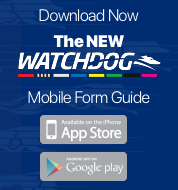 Mr McCullagh stated that the greyhound was returning to racing following a right triangle injury. A pre-race sample was taken from Corleone. Unusable checked off Little Mix soon after the start. Suspicious Lee, Saint Ray and Little Mix collided approaching the first turn, checking Suspicious Lee and Little Mix. Saint Ray checked off Unusable on the first turn. Suspicious Lee checked off Little Mix on the home turn. Saint Ray raced wide in the home straight. Satisfactory Trial Results (GAR 77A) - Stewards spoke to Mr Kevin Quinn, the trainer of Misty Warrior, regarding the length of time since the greyhound last raced. Misty Warrior last raced on 2 November 2017. Mr Quinn stated that the greyhound had been seasonal. Pursuant to GAR 77A, Misty Warrior trialled over the 390m from box one, weight 26.8kg, the greyhound was placed third in a field of four. The time of the trial was 22.24, the greyhound was beaten by a margin of 9.25L. Misty Warrior was cleared. Satisfactory Trial Results (GAR 77A) - Stewards spoke to Mr John Vassallo, the trainer of Mrs. Erm, regarding the length of time since the greyhound last raced. Mrs. Erm last raced on 5 November 2017. 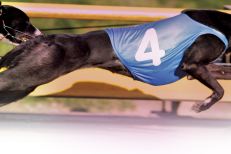 Mr Vassallo stated that the greyhound was returning after sustaining a gracilis (back) muscle injury. Pursuant to GAR 77A, Mrs. Erm trialled over the 390m from box three, weight 28.4kg, the greyhound was placed first in a field of four. The time of the trial was 22.24, the greyhound won by a margin of 8.5L. Mrs. Erm was cleared. Satisfactory Trial Results (GAR 77A) - Stewards spoke to Mr Michael Davison, the trainer of Skidlisha, regarding the length of time since the greyhound last raced. Skidlisha last raced on 27 June 2017. Mr Davison stated that the greyhound was returning following a spell. Pursuant to GAR 77A, Skidlisha trialled over the 390m from box five, weight 30.9kg, the greyhound was placed second in a field of four. The time of the trial was 22.24, the greyhound was beaten by a margin of 8.5L. Skidlisha was cleared. Satisfactory Trial Results (GAR 77A) - Stewards spoke to Mr Michael Davison, the trainer of Soho Silhouette, regarding the length of time since the greyhound last raced. Soho Silhouette last raced on 5 October 2017. Mr Davison stated that the greyhound was returning after sustaining a shoulder injury and being seasonal. Pursuant to GAR 77A, Soho Silhouette trialled over the 390m from box seven, weight 28.7kg, the greyhound was placed fourth in a field of four. The time of the trial was 22.24, the greyhound was beaten by a margin of 9.75L. Soho Silhouette was cleared.